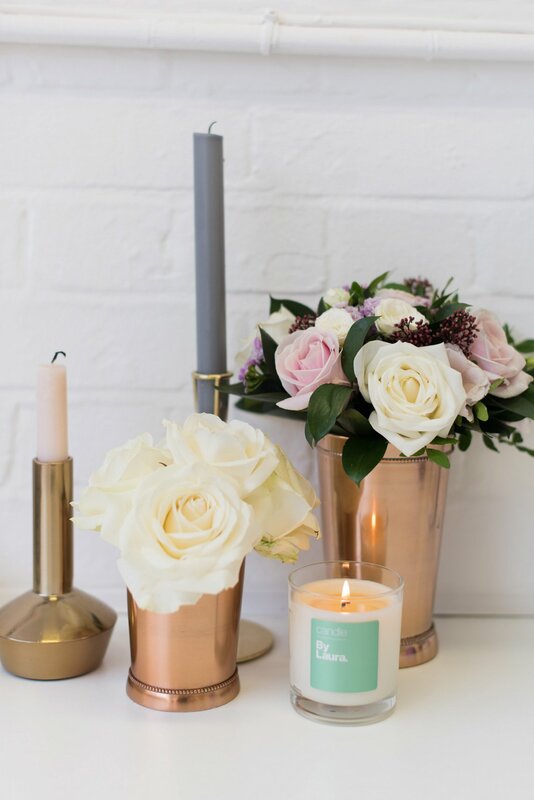 Good afternoon lovely readers! This one is for our wedding pro friends, though we’re super proud of this landmark moment in our B.LOVED journey, and if you’re at all interested in the wedding industry, running your own business, or just fancy a nosy at what I’ve been up to lately, then read on! 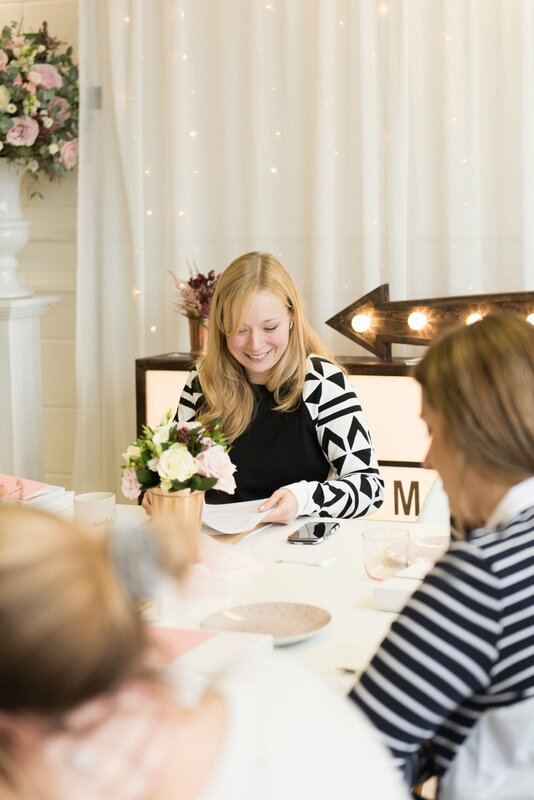 If you’ve been wondering where I’ve been for the last few months, and missed this post, then let me fill you in! 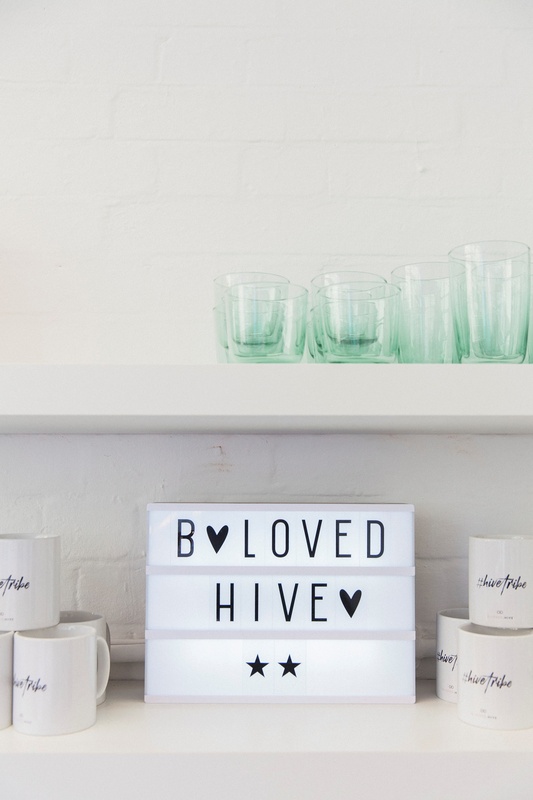 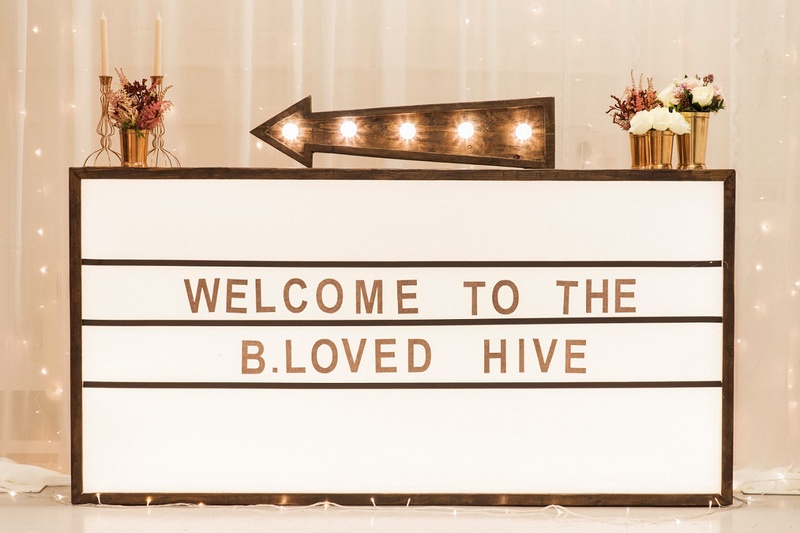 Back in September, I pressed the publish button on a super exciting (and equally nerve-wracking) Kickstarter campaign to raise funds for B.LOVED’s brand new venture, the B.LOVED Hive. Don’t worry though, I’m not going anywhere! 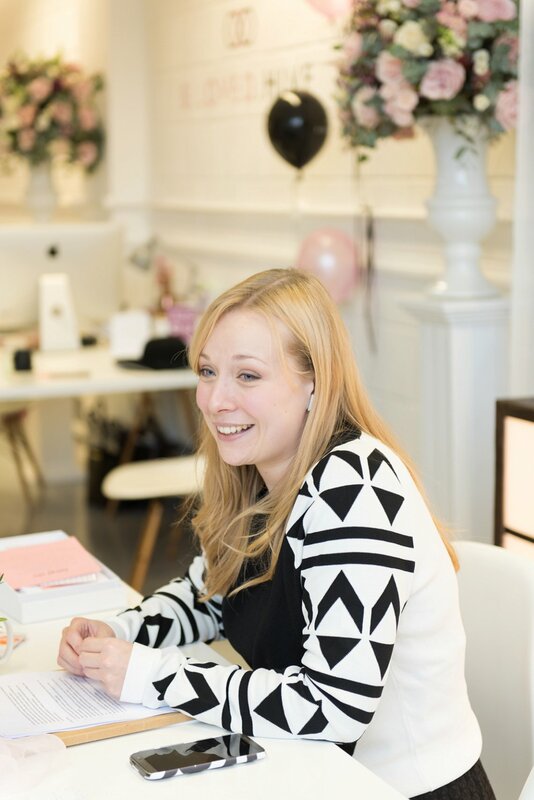 Catharine took over as Editor back in September, and she’s doing a pretty awesome job, don’t you think? 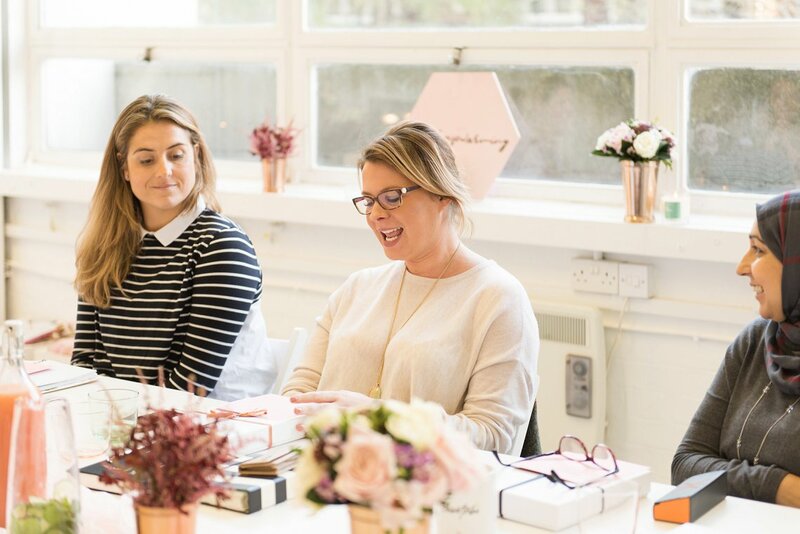 I’m still working hard behind the scenes making sure we share only the most luxe & lovely content and working with the best brands and suppliers. Over the past 5 and a bit years of running B.LOVED blog, supporting wedding industry professionals is what I have loved best, and so when a change in my personal life gave me the opportunity to dream big and create something brand new, I grabbed the chance with both hands. Well, after a little encouragement from my wedding pro friends! 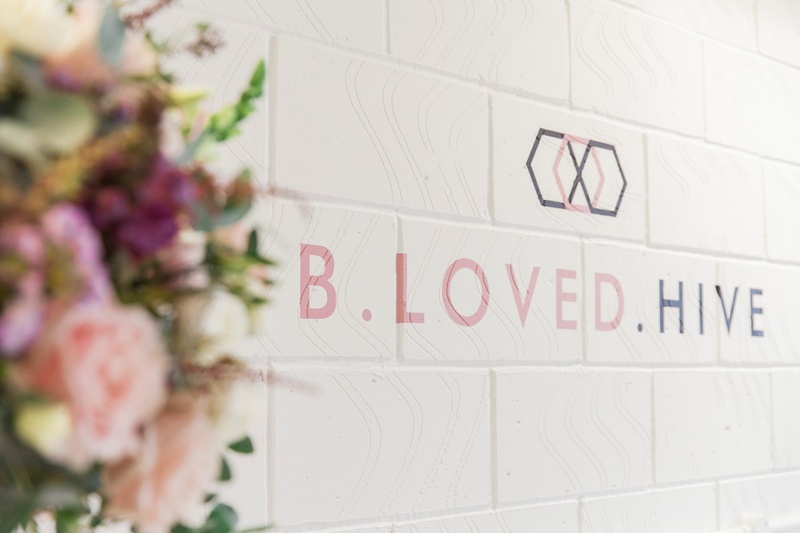 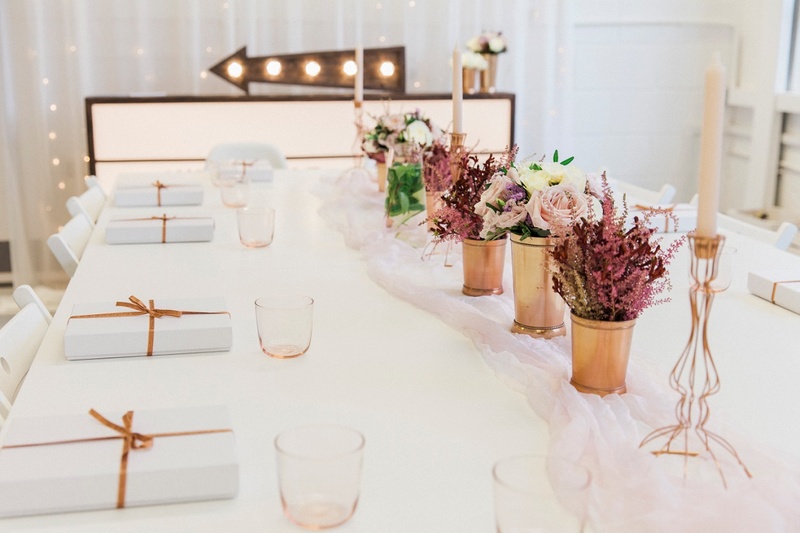 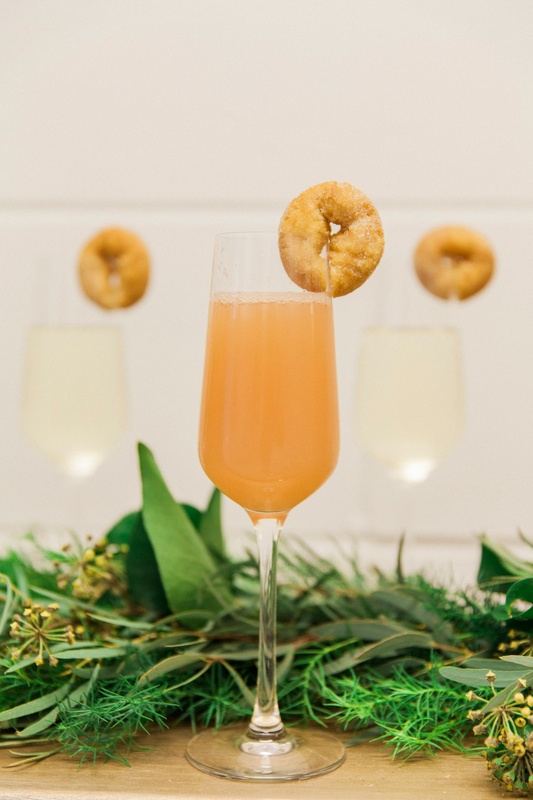 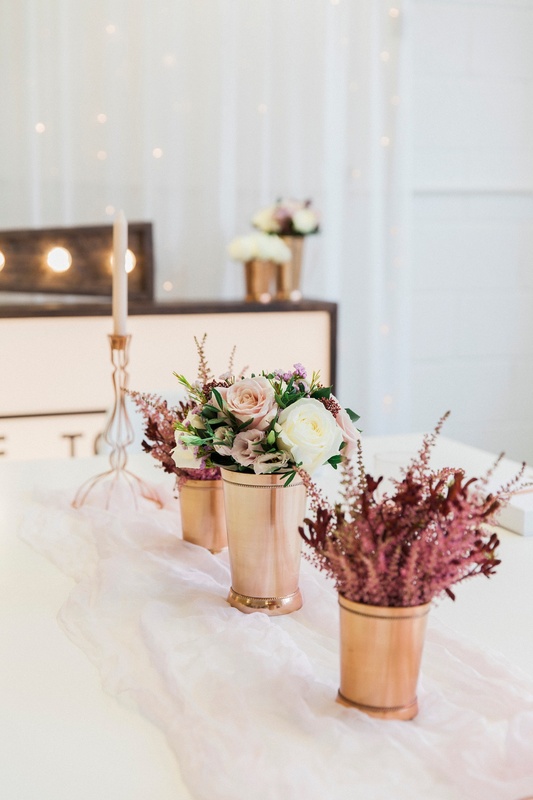 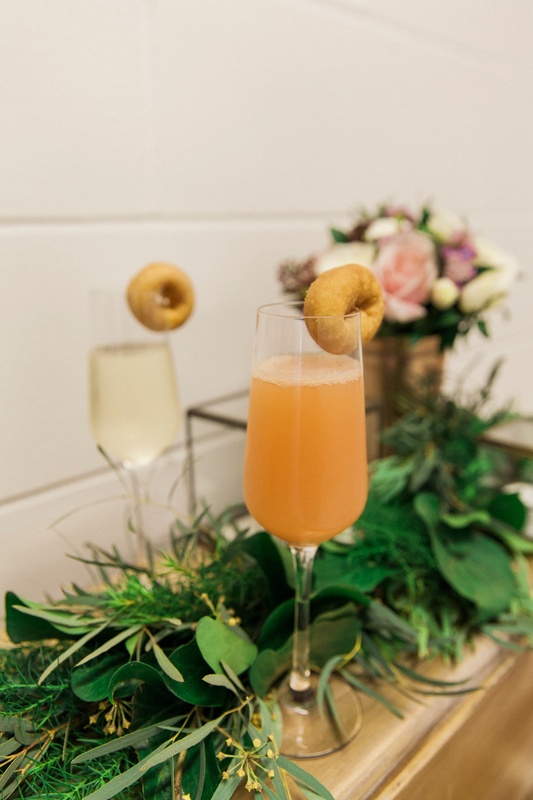 The B.LOVED Hive is an exciting new space for the wedding industry; a place for to meet others who understand the daily struggles of running your own business, a place to learn from industry experts and each other, and a place for your growing business to thrive! 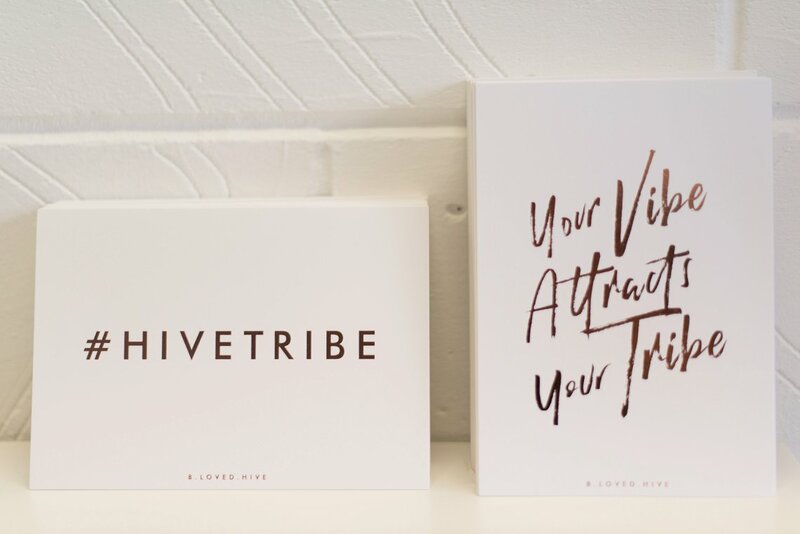 Our membership community (the #hivetribe!) 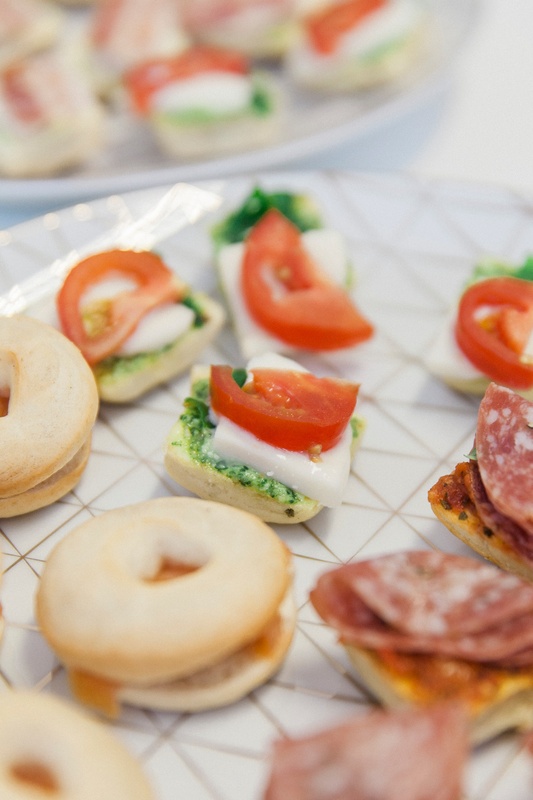 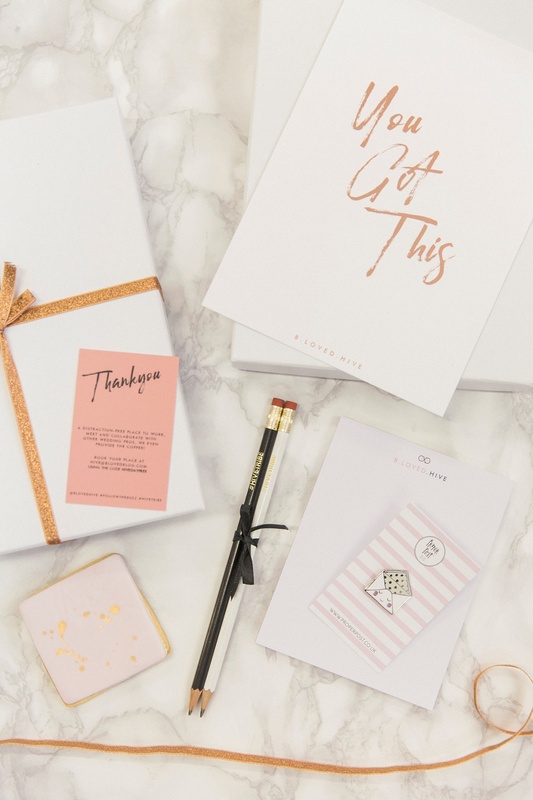 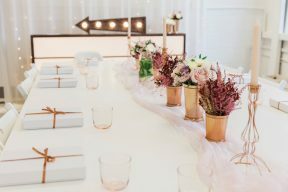 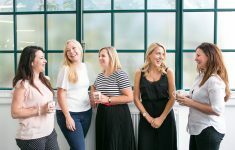 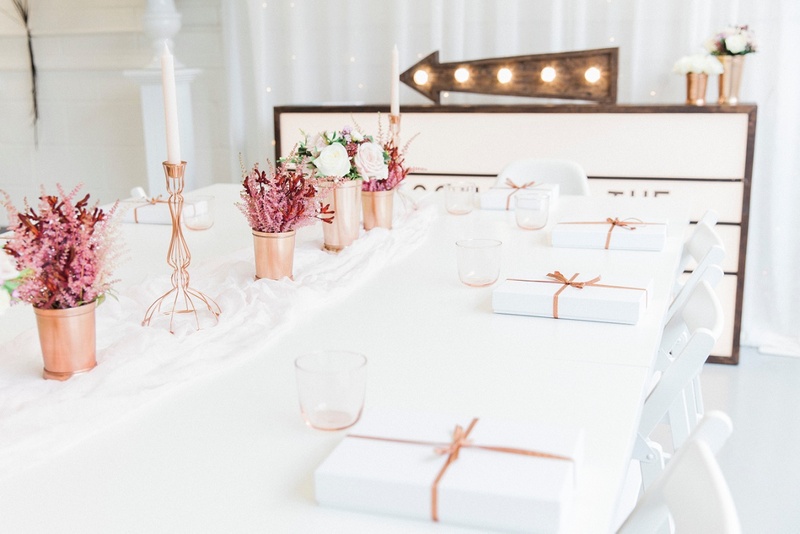 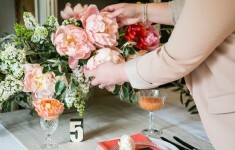 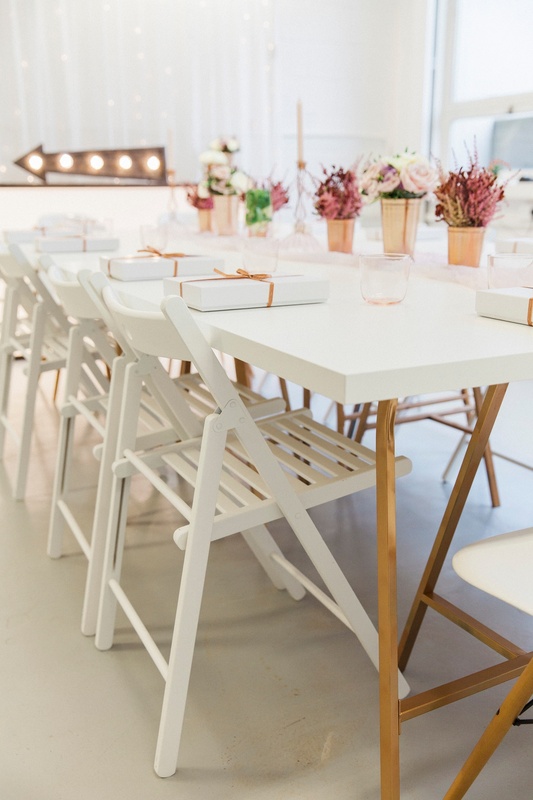 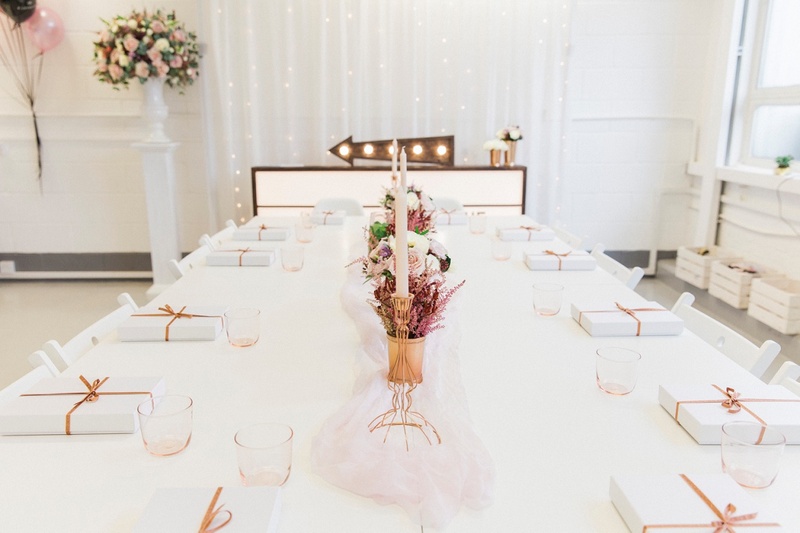 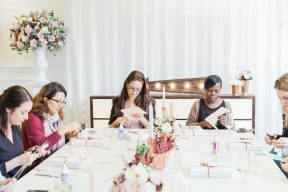 is the perfect place for wedding pros at any level to be a part of something bigger, with monthly action plans and advice, quarterly networking events and workshops. 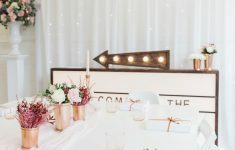 And it’s also a place, yup, an actual physical place, where the wedding industry can come and work for the day, or host their own workshops, events, press days and shoots! 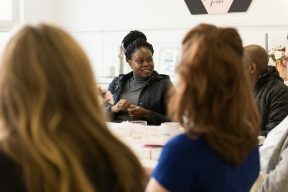 So why am I telling you about this now? 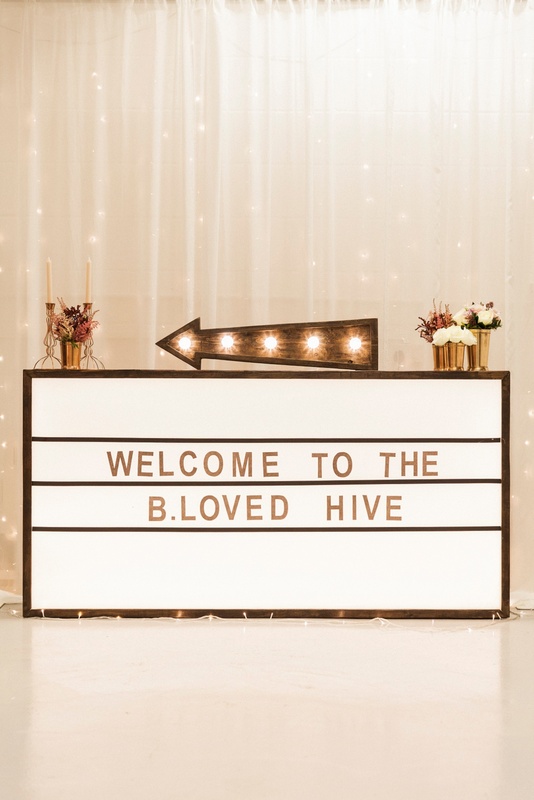 Well, a little over a week ago, I finally got to realise my dream and open the doors to the B.LOVED Hive to the wedding industry community for the very first time! 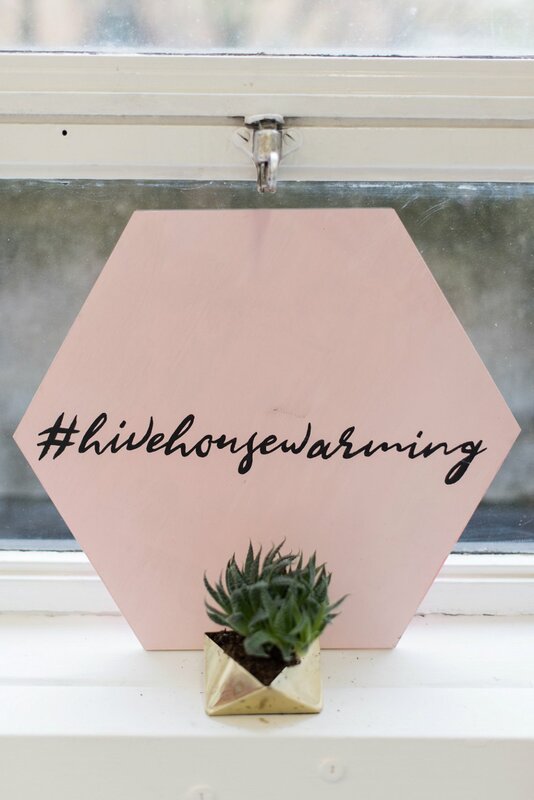 We celebrated with a three-day spectacular, giving our members, supporters and backers a chance to experience what it will be like to be a part of the Hive; with mini-workshops from some of our industry faves and, of course, our very own launch party, the #hivehousewarming! 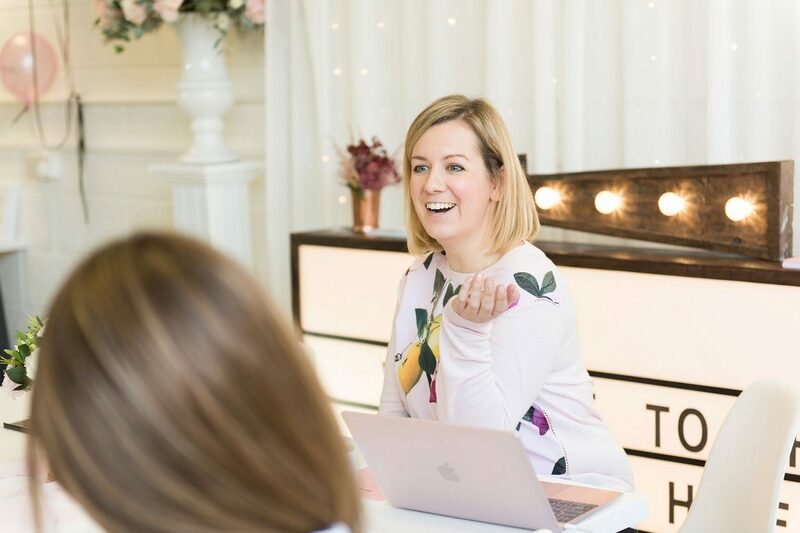 Welcoming over 100 wedding industry professionals through our doors was the most amazing feeling, after all these months of work and years of dreaming, my vision of creating a place where the wedding community can come together is finally a reality! 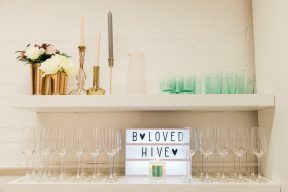 Of course, being a stylist it wasn’t enough to have worked solidly for 2 weeks making the space functional for our launch, but extra-special attention was brought to making the Hive super pretty for our guests with props from Wedhead, linens from Kate Cullen, stunning florals from Miriam Faith and bespoke hand-painted signage by Rose Paper Scissors. 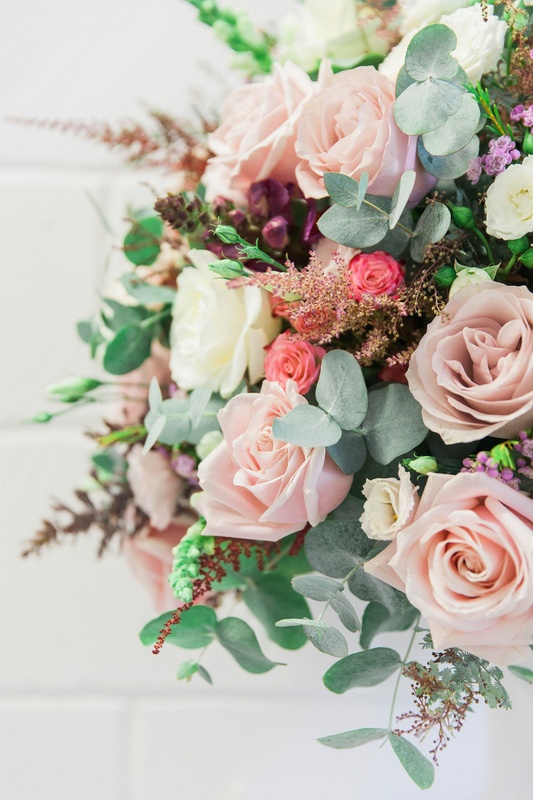 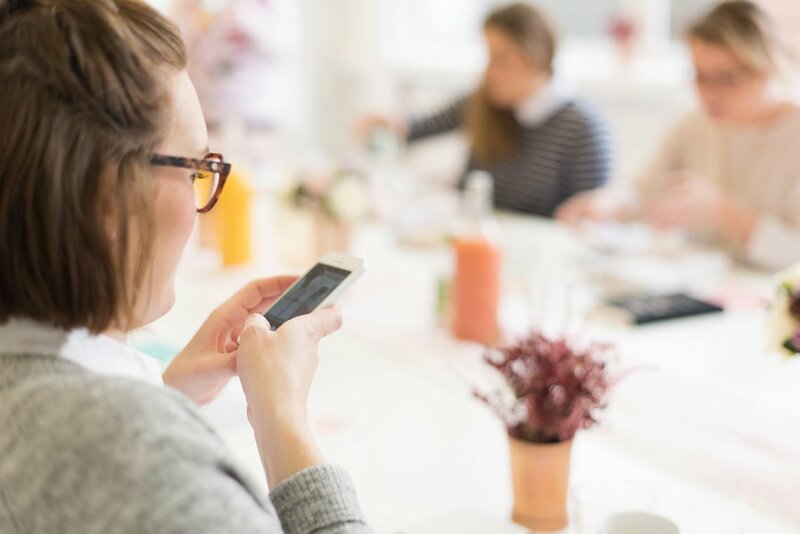 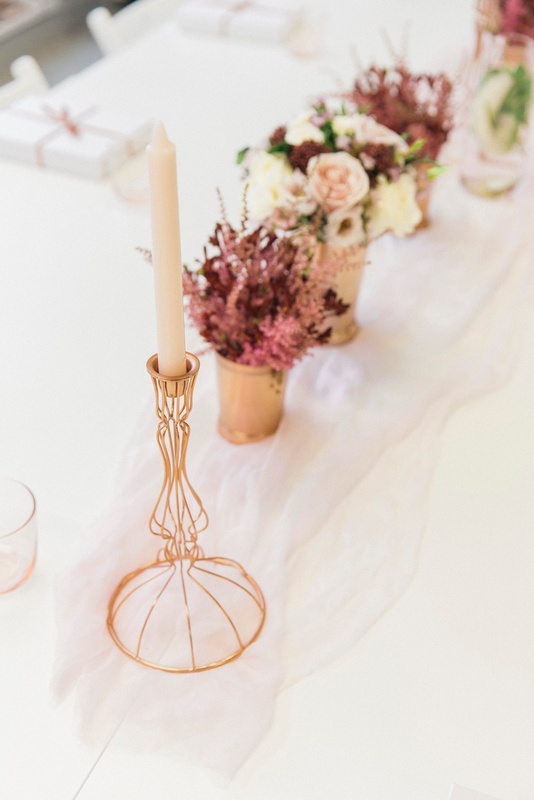 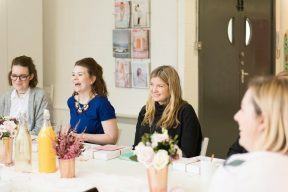 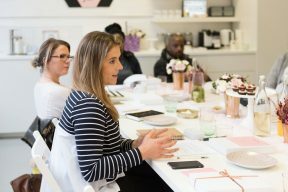 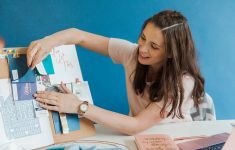 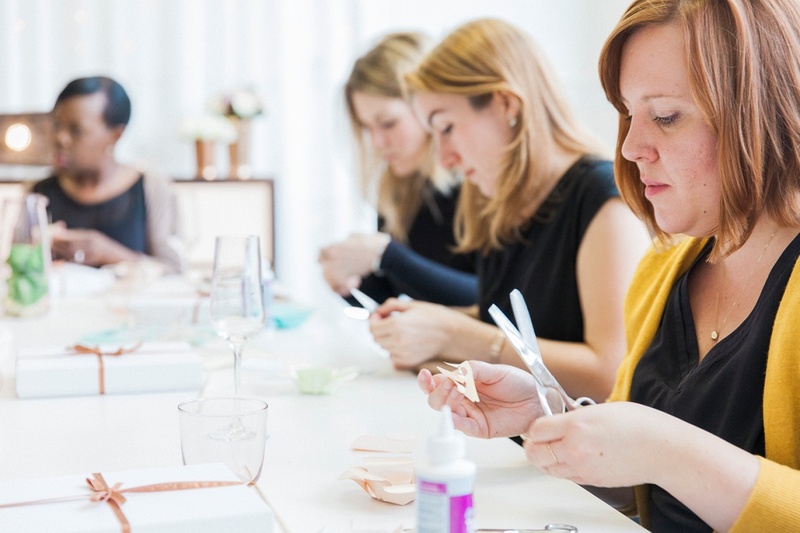 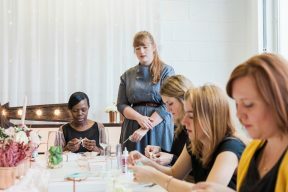 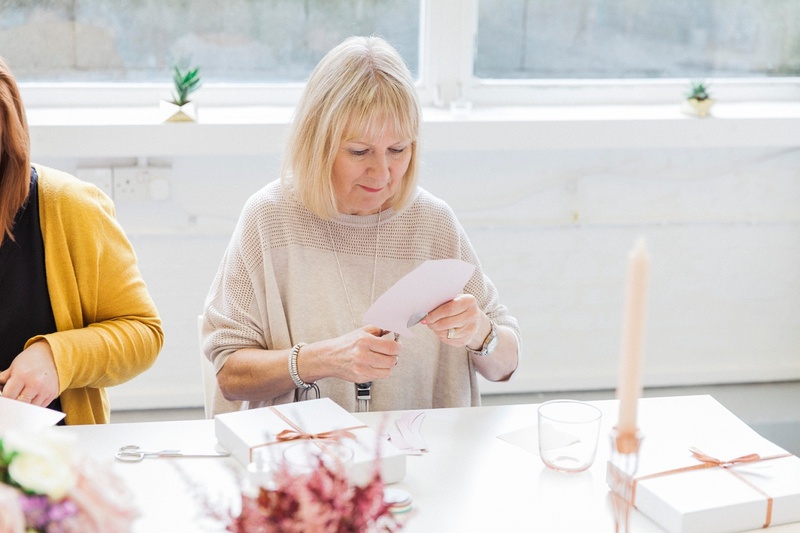 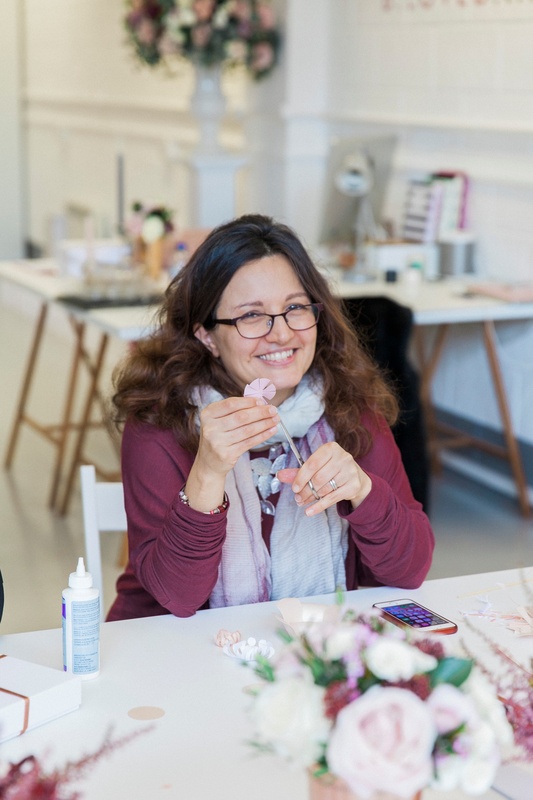 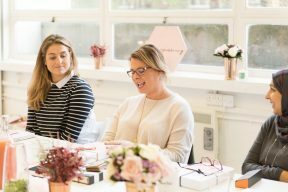 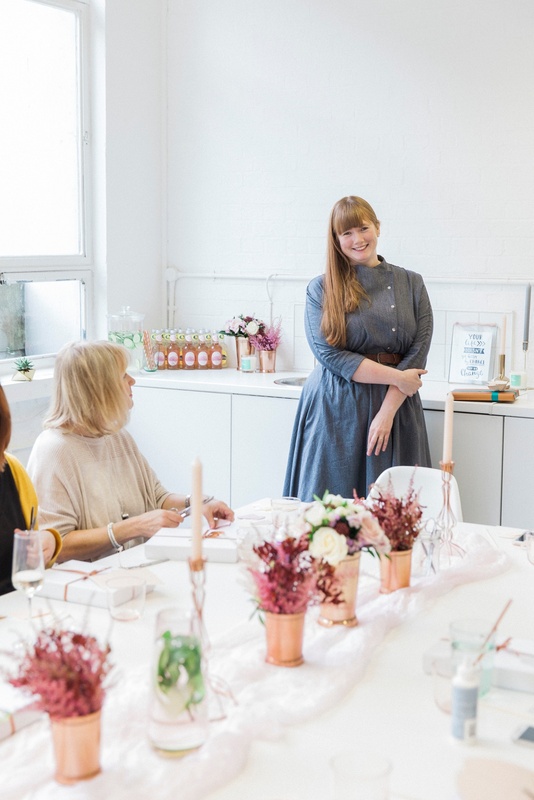 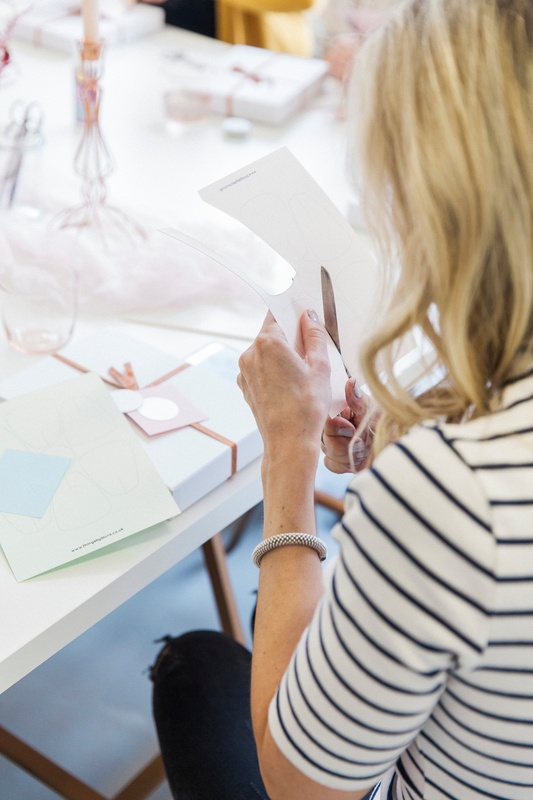 Our workshops, hosted by Things by Laura, Candour & Polish, Nova Reid and myself, covered a range of topics from paper flower crafting to Instagram styling to taking care of yourself! 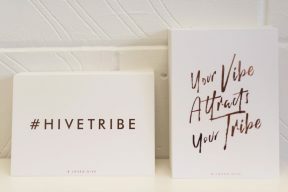 The feedback I have received so far was hugely flattering, and offered a great snapshot of what our members and guests can expect from the Hive in the months to come! 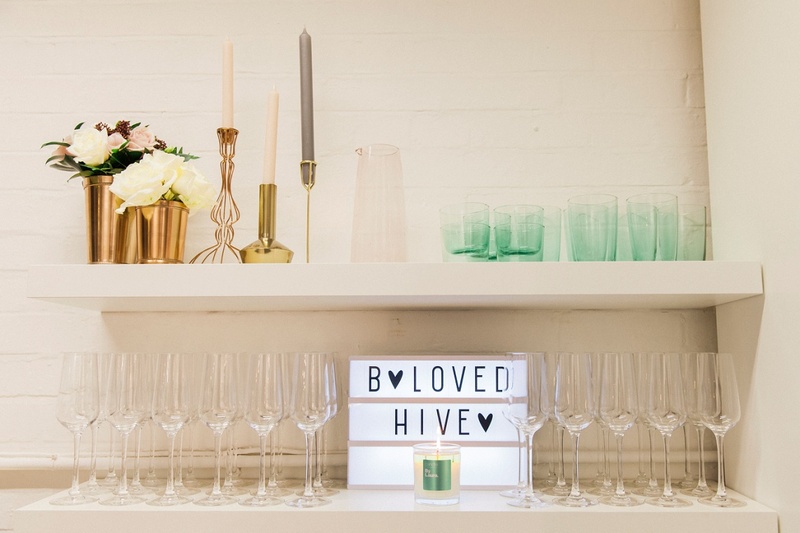 For the evening, we transformed the Hive into a pretty and cosy event space, with twinkling lights and beautifully scented candles from byLaura. 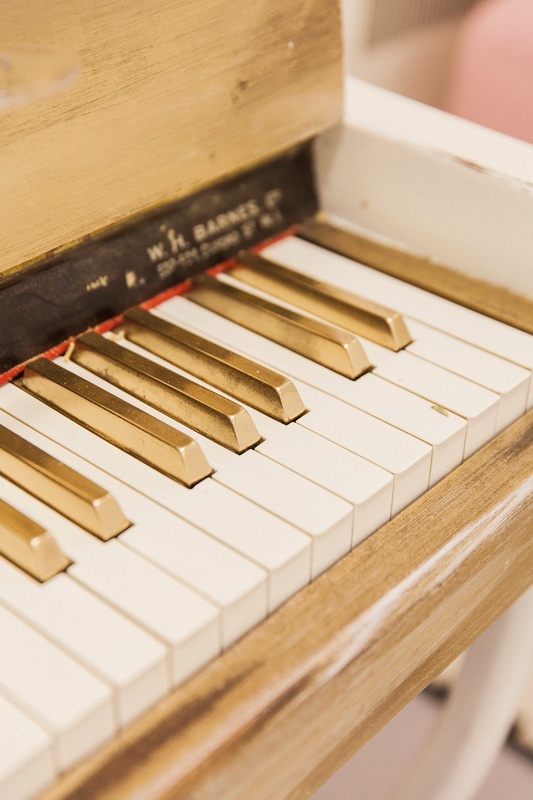 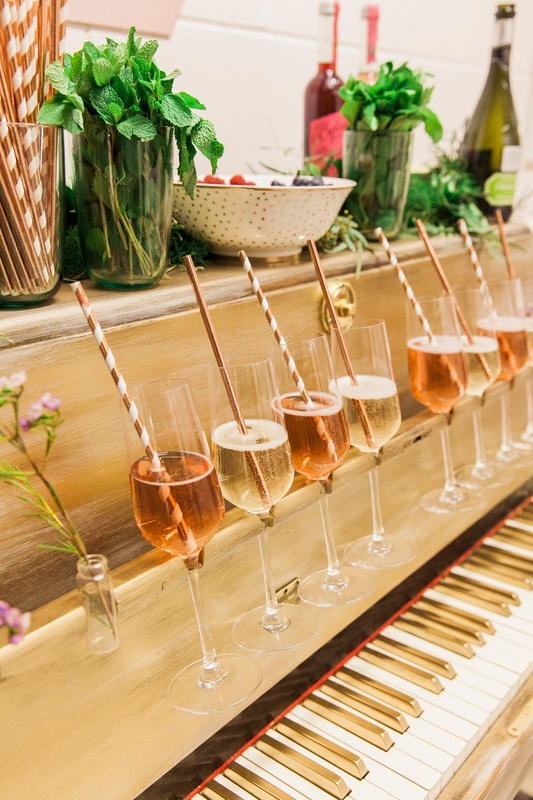 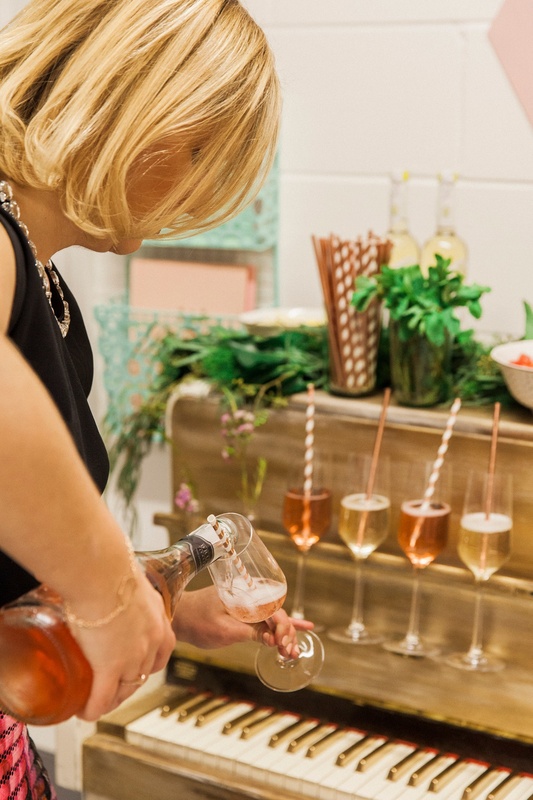 Guests pimped their prosecco at our Piano Bar (provided by Wedhead), nibbled on (gold dusted!) 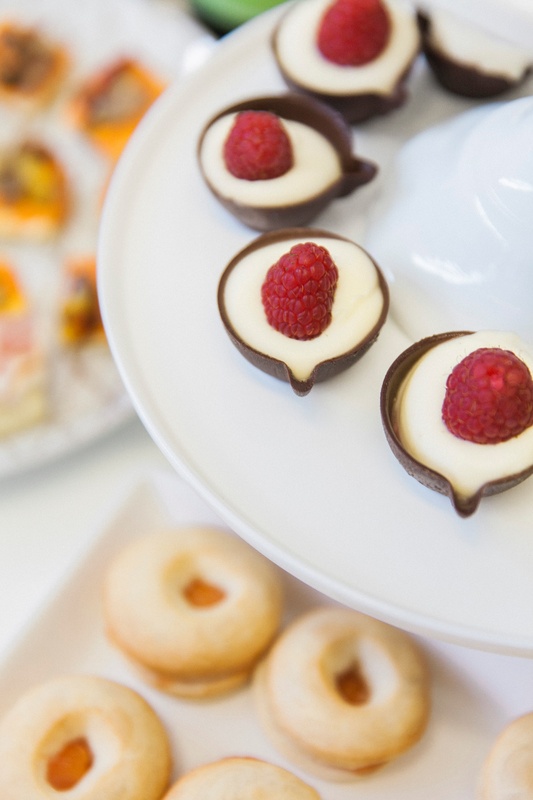 mini donuts and cupcakes from The Enchanting Cake Company, and they got glittered by talented MUA Ana from BEAUT! 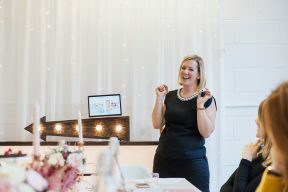 Even our new neighbours, SayFromage, got in on the action providing the photo booth (a wedding industry event staple!) 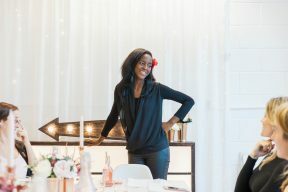 complete with hot pink backdrop. 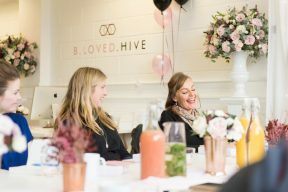 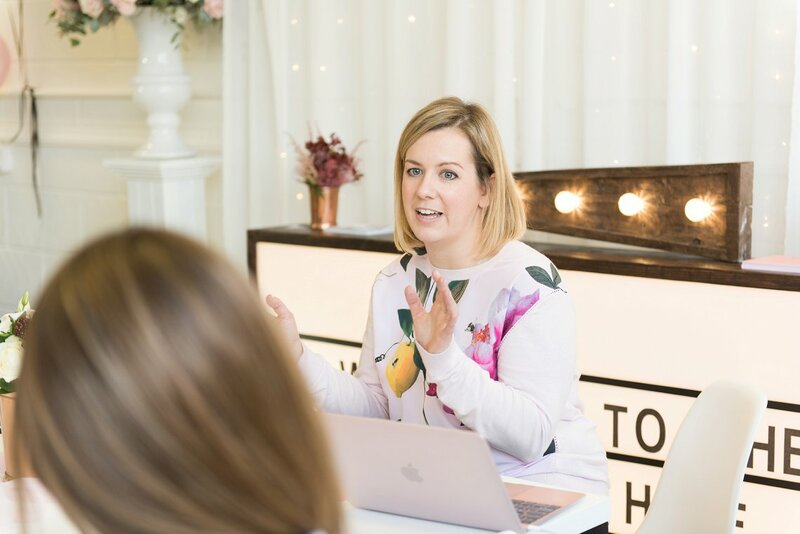 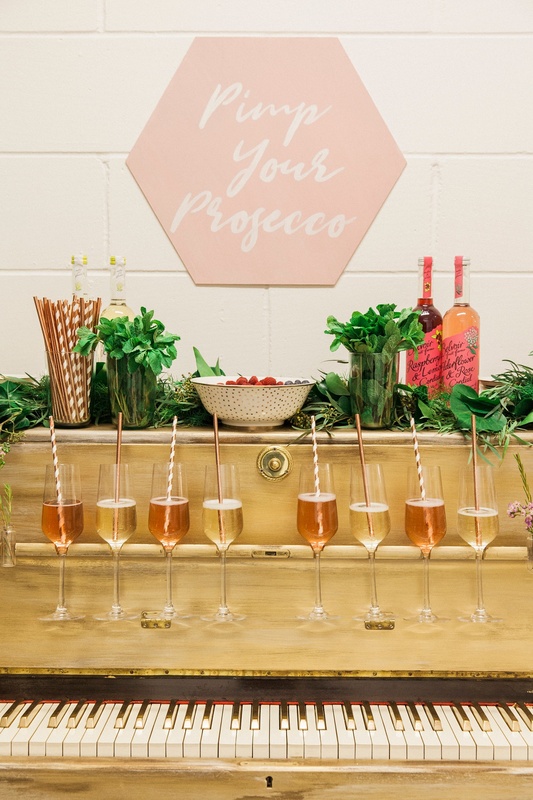 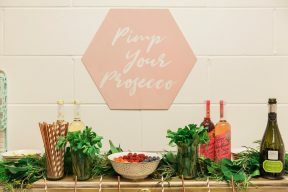 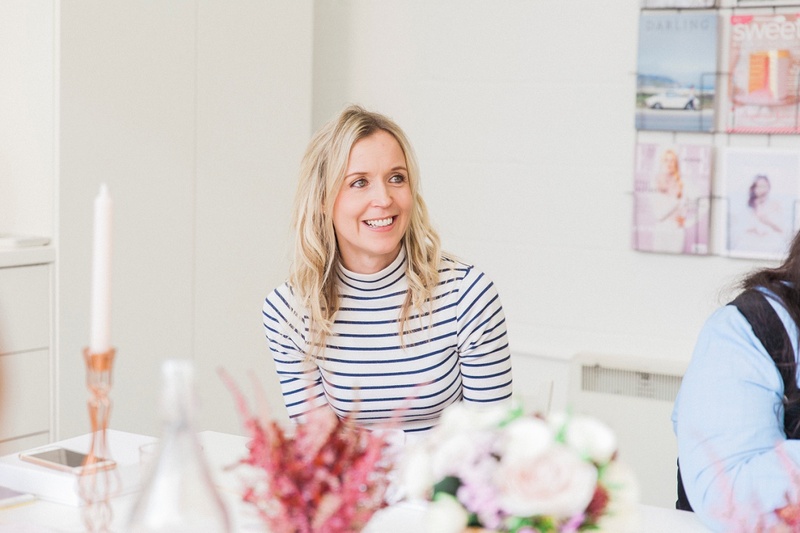 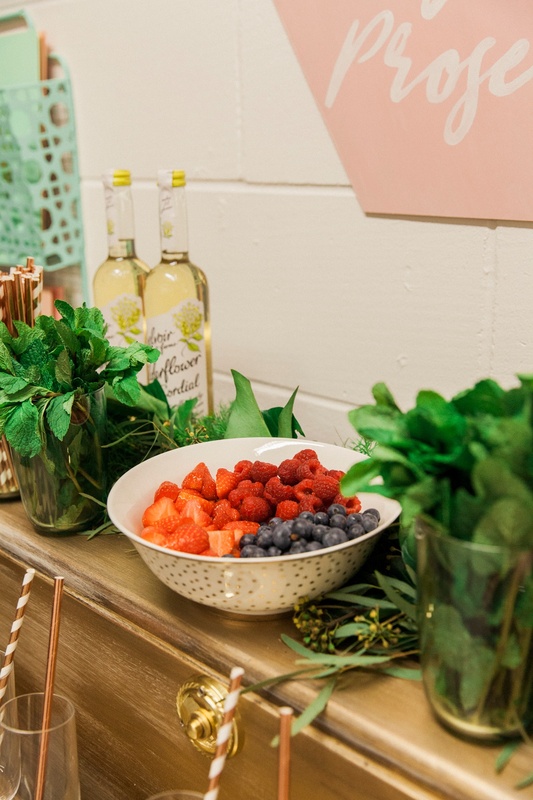 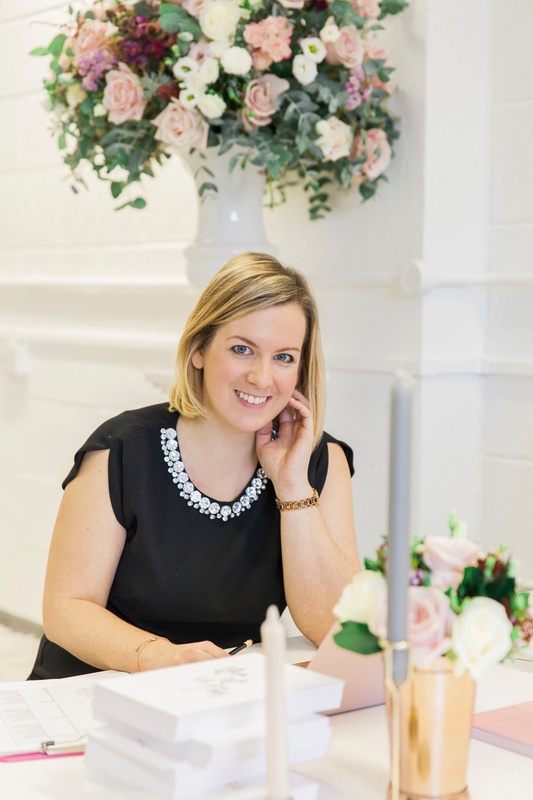 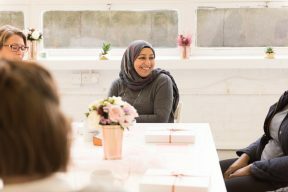 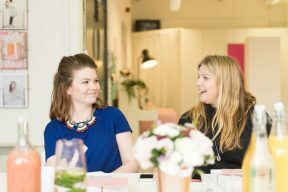 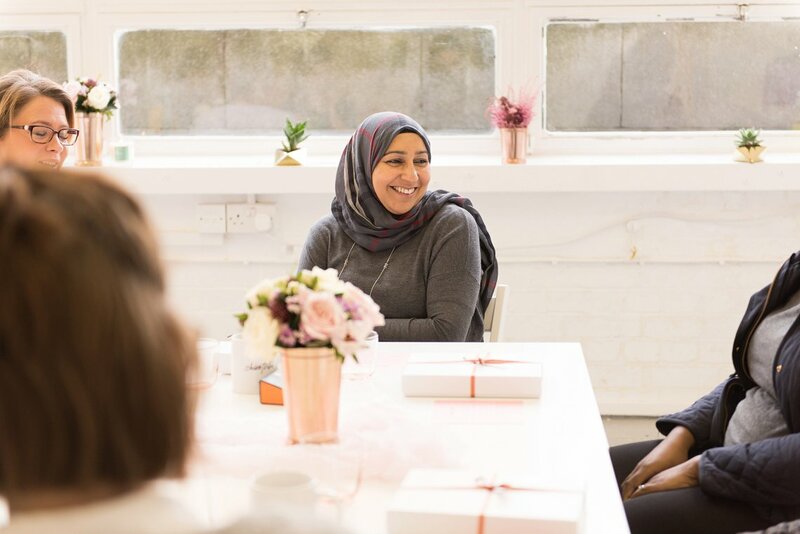 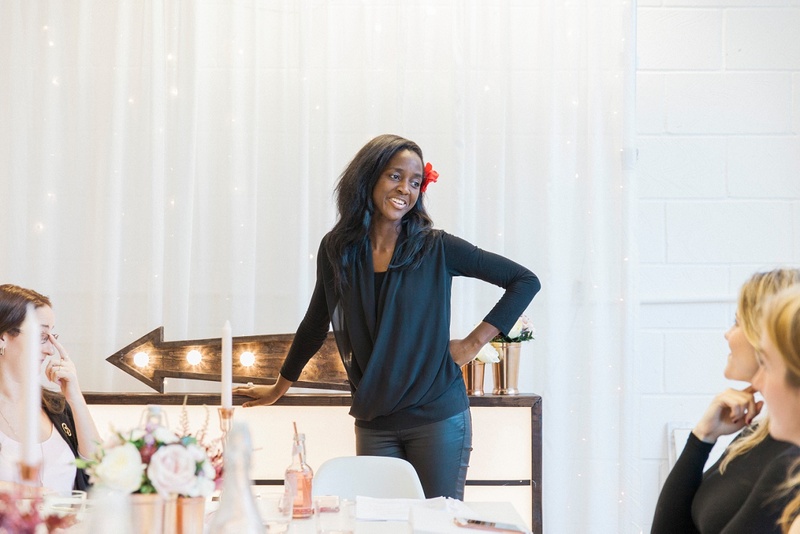 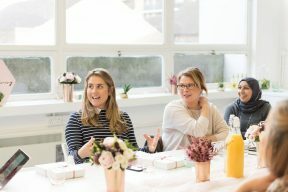 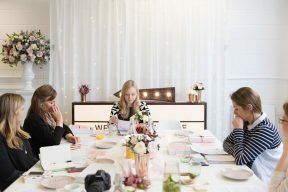 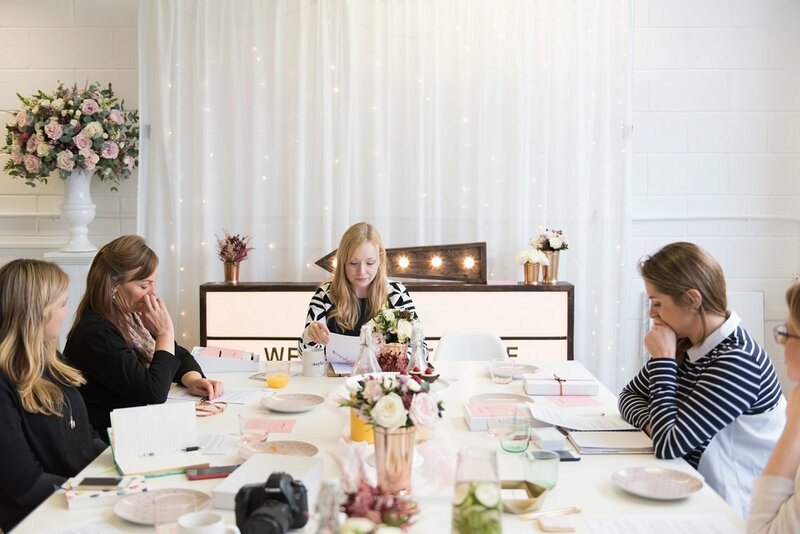 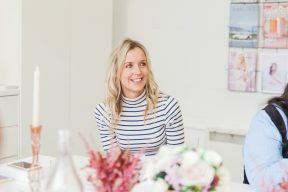 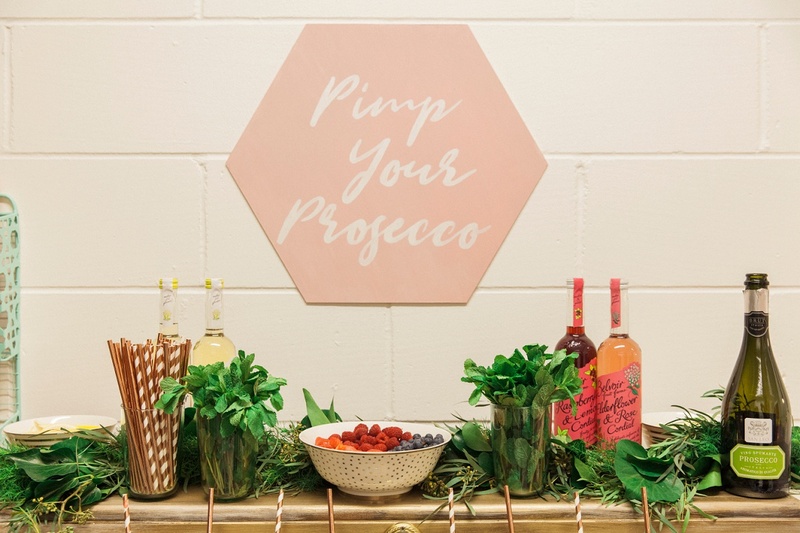 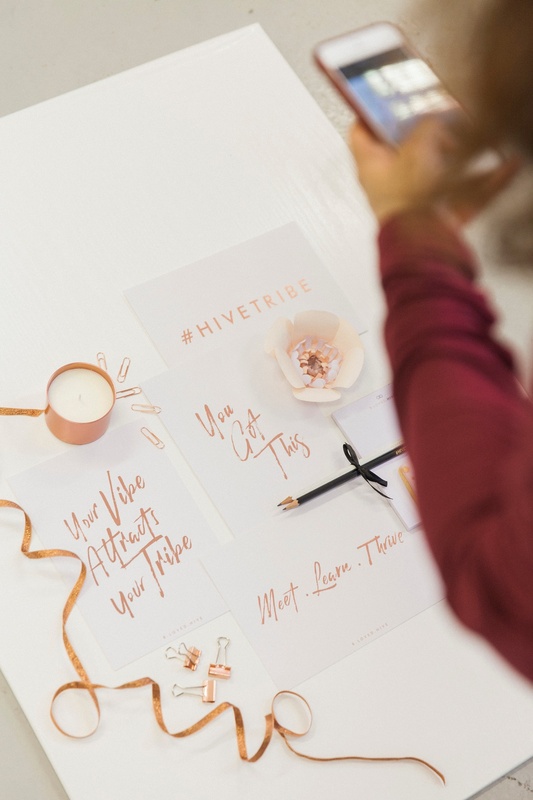 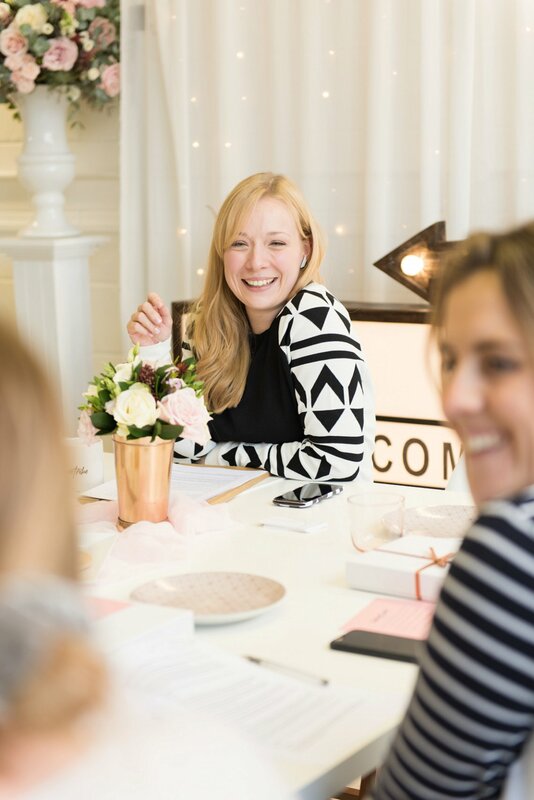 I loved watching our attendees meet and mingle as they discussed working in the wedding industry and shared tips and advice – for me that’s what the Hive is all about! Find out more about the B.LOVED Hive, what becoming a member can do for your wedding business, and check out the latest events at hive.blovedblog.com.